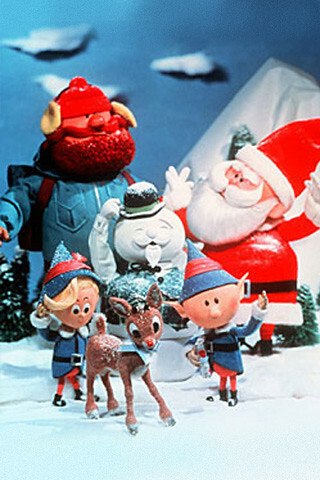 The other night I was channel surfing and I happened to come across the classic, claymation film, “Rudolph the Red-Nosed Reindeer.” I haven’t seen or even thought about this movie since I was a kid, and although it’s been on every year since 1964 (or so I’ve read from several different online websites) it’s not like I watched it each and every time. May’s wife was dying from cancer, so he was taking care of their 4-year-old daughter, Barbra, himself. He would make up bedtime stories and tell them to her before she went to sleep—and one night, he told her about a little red-nosed reindeer that was teased all the time because of his bright, shiny nose. This was Barbra’s favorite story, and it also became a favorite of millions of other children—distributing 2.4 million copies the first year. But unfortunately May had no rights to the book because he was an employee who created it for Montgomery Wards (this means he didn’t receive any royalties) and with his wife passing away shortly after the book was made, he was left with some major debt. In 1946 he decided to finally go to the president of Montgomery Wards to ask for the rights to his book—and surprisingly they gave it to him. Six-million copies of the book were distributed by this time, and from then on May finally got the break he deserved. The story then became a hit song, sang by Gene Autry in 1949. And songwriter, Johnny Marks, who is also May’s brother-in-law, helped in making this happen. Today, we continue to watch Rudolph the Red-Nosed Reindeer, stop motion/claymation series and all. No matter how obsolete it may seem to us as adults, most of us can’t deny the joy it brought when we were children. I bet that’s why CBS has been playing it religiously for all of these years—just like Frosty the Snowman and The Wizard of Oz. It is said that the probability of finding an original booklet of Rudolph the Red-Nosed Reindeer today is rare, but who knows, maybe Santa might just give you one for Christmas.